What a loss for us all. 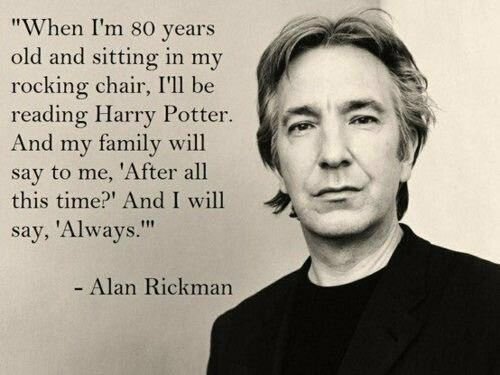 Rest in peace, Alan Rickman. Oh, no! I am just opening my LJ page and this is the first I am learning of it! It's been a poor start to the year in that regard. So many losses already. I know what you mean. I still can't. Bowie and now Rickman? So sad. I thought he was immortal! But if Christopher Lee isn't, how can anyone else be? I know exactly what you mean! Excellent point about Christopher Lee. It is so sad that he didn't reach that quiet and lovely place. The world is a smaller place without him.